The fitness center is disgusting. I’ve asked that it be cleaned 3 times. It’s now been 6 months and it hasn’t been touched. Same goes for the bathrooms. The people, amenities and living conditions are really nice. I truly enjoy living here and like the surrounding area. I find my neighbors are generally nice, the local area is conveniently and safe. I like living here and my daughter does, too. We like package concierge and the gym. The staff is nice too. Maintenance is very good at keeping the grounds clean. Everyone in the office is super nice and always willing and ready to help you. They work with you and are very understanding. Everyone is always smiling and never seem to be in a bad mood. Living here is nice. Cool amenities like basketball court, package concierge, etc. Pool area is nice also. Noise levels have increased. Staff is friendly. Hello Susan, Thank you for sharing your experience at The Apartments at Kirkland Crossing. This year we are looking at doing some landscape improvements for the community, to improve the curb appeal throughout the community. We appreciate your input. We have enjoyed living here overall other than some issues with neighbors. The location is nice, the introductory rent deals are enticing for new residents, and most of the amenities are useful. I would suggest adding swings to the playground onsite. The maintenance staff is nice and responsive. Management I feel is sometimes overwhelmed with all they are asked to do. I would suggest adding another seasoned professional to the management team that has a customer service/relations management background. Thank you for sharing your feed back with us. We want you to feel like you are our top priority. We have appreciated having you here and hope that we can exceed your expectations in the future. Please feel free to let me know how we can make your stay more enjoyable. Kindly, Donna C.
Always something to do for the swimming pool to the pool table or the gym and basketball court. The staff is always very helpful and friendly. Fairly clean, beautiful view from the patio, great proximity to stores, needs speed bumps in the parking lot. Only lived here since August and am excited to see the community in the summer time. I think you will really enjoy the pool and courtyards when it gets warmer. The property is beautiful when the flowers and trees are in bloom. Kindly Donna C.
We are happy to have you and Annie! Nice place to live...great location, family and pet friendly community, nice amenities, spacious apartments, and prompt maintenance. Not quite 4 stars because apartments should be more luxurious, and better quality for the price. Thank you for the review. Please let me know how we can make it a five star for you. I am happy to help, Donna C.
The staff at Kirkland crossing are very nice and they do what they can to make living here the best experience possible. They arrange community events to help bring one another together. Thank you for your review. Let me know if you have ideas for resident events. We would love your feedback! Moved in roughly a month ago. The apartment was freshly painted, new carpet and very clean. So far the staff has been helpful after the move in and everything is working out great here. We are glad that you are enjoying your new home! Let us know if there is anything we can do to make your stay more enjoyable. Kindly Donna C.
Love living here, rent is a little high but for the amenities and clean, quiet and safe community it’s worth it. I do with the basket ball court would stay open later, especially during winter when there’s little to do outside. Maintnance is the best and they’re quick to respond to any issues that arise. Thanks for the kind words Sara! The basketball court is available for you 24 hours a day! Let me know if you would like to reserve it for you. There is no charge for you to reserve the Basketball court. Kindly, Donna C.
I enjoy living at Kirkland. It's a calm, quiet area. The staff in the leasing office are fantastic. Everyone I pass by is friendly. The only downside is the limited amount of parking. We are so glad that you are enjoying your new home. We hope to see you at the resident events! I love this community. This is the second time we have lived here. The staff are always so polite and the amenities are awesome. It is very quiet here. Thank you for taking the time to share your experience at Kirkland. We appreciate the kind words. Kindly, Donna C.
This place used to be pristine, clean and responsive. The new management has not met the bar set by Marquette. I used to recommend this complex to everyone I met. I think Kirkland does make an effort to respond to tenants' needs. They are stronger in some areas than others. Snow removal in parking spaces is an area they need to improve on. Also, new mgmt doesn't sponsor many events anymore. I miss that. I don't think they are doing any holiday toy collection, and primary form of communication is Facebook...miss out on a lot if you don't use Facebook. Mgmt. People very friendly and dedicated. Service tickets responded to in reasonable timeframe. 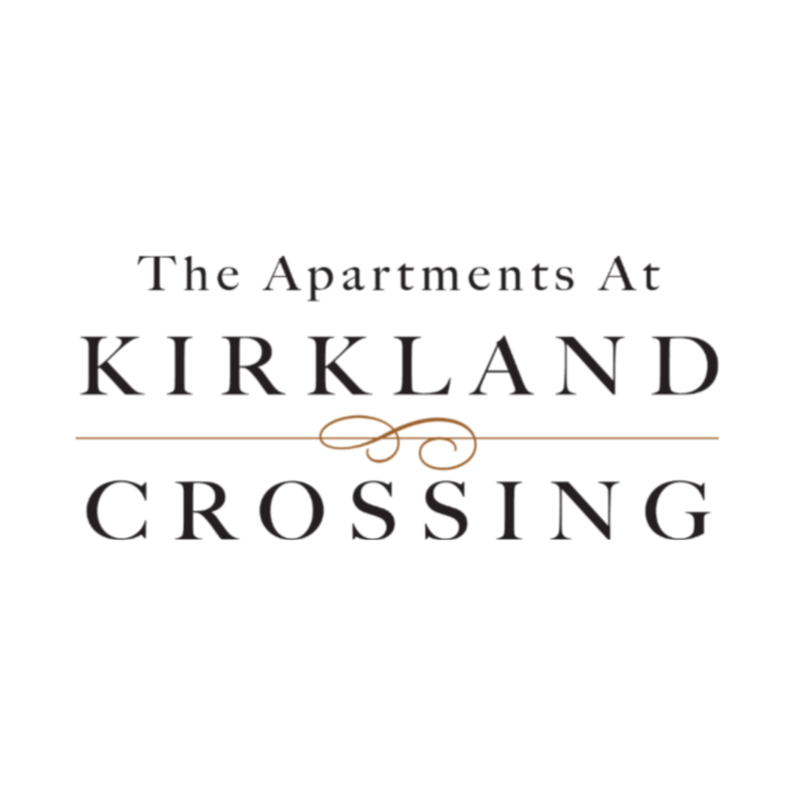 The Apartments at Kirkland Crossing are great for individuals and families. Lots of green space around the property. Maintenance requests are answered promptly. The office and maintenance staff are both very friendly and prompt. The few maintenance request I had were very well coordinated nand efficient. Friendly and helpful staff. Staff makes every attempt to assist with any problem you may have. I also love how quiet and peaceful this area is. Staff is great and are attentive to any need we have had. Apt is close to all the area has to offer and the complex is defiantly are new home! Love my new apartment. Spacious and looks brand new. Great environment and very pet friendly. Love the fact that you can’t hear people in other units too! I have been a resident for about 3 years now. I love everything about this place- the fully equipped gym, a beautiful swimming pool, get together once in a while, places to eat closely and retail store just across the street. Awesome place!!! Been living her for almost 4 years. I love it here because they quickly take care of requests for maintenance work. Their portal makes it convenient to pay rent online and submit requests. My only concern is the rent keeps going up.